A cable available to Southwark Crown Court, UK has revealed how a former Nigerian president, Goodluck Jonathan, was code-named “Fortunato” by Italian accomplices in the $1.1 billion Malabu deal. Italian authorities investigating the mega deal had provided evidence to the court indicating the involvement of the former president. The court, presided by Justice Edis, said based on the evidence presented before it, “Fortunato”, meaning “the lucky one” in Italian, was implicated in the deal. “The suggestion from the wiretaps is that “Fortunato” was implicated and I am told that this was a reference in code (not subtle) to the former President of Nigeria, President Goodluck Jonathan,” the judge said. 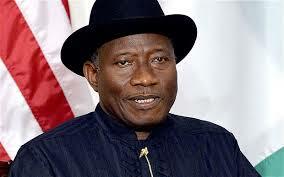 By this revelation, “Fortunato”, is added to the long list of names Nigerians call the former president. The court however refused to release the remaining balance of $85 million (N17 billion) to Malabu for the sell of Africa’s richest oil bloc, OPL 245 to oil giants Shell and ENi.